Spring is a critical time for planting, from a simple backyard garden to a full-scale landscaping project. Part of spring is both fueling growth while also protecting the plants from sudden changes in temperature, moisture, and pests. The use of mulches to cover your soil and seeds not only makes for an appealing garden, but a healthy one to. 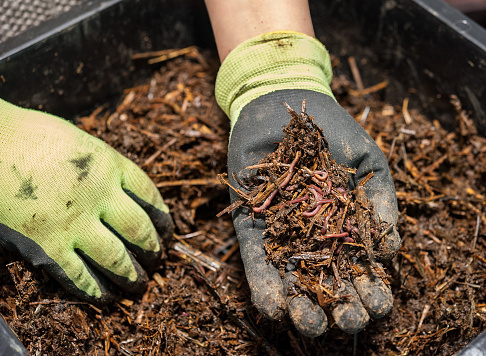 Whether you’re just starting out or looking to take your gardening commercial, read on to learn about the benefits of a solid garden mulch. What is Mulch, and What is the Purpose of Having it? Mulch is a ground covering of organic materials made to break down over time. It has two major purposes: to improve the protection and appearance of the area covered, and to provide benefits to the soil below when it breaks down. Mulch also holds in moisture so that your plants do not dry out as quickly. Other benefits include keeping plants cool and adding extra nutrients to the plants roots. They can also stop the growth of “shotgun” fungus and bacterial growths by acting as a barrier. The wide use of mulch both at home and on commercial grounds is a testament to both their appearance and benefits. The best mulch for your yard depends on many factors. These factors include climate, location and purpose. Picking the right kind of mulch is crucial for your garden to reach its optimal level. Brown Pine Mulch is a very economical mulch that will retain moisture and prevent weeds. Another option is a Natural Black Mulch. This kind of mulch has a different texture and does not contain added dyes. One of the best options of mulch to use is a mixture of both bark and compost. The bark can actually enhance the color of your mulch and prevent fading. Bark also has key micronutrients that help with the growth of your plants and can create a strong barrier to prevent “shotgun” fungus as well. How Frequently Should You Mulch? Just like anything, there is a perfect time to mulch and also a certain life span of mulch as well. The lifespan of mulch depends on the type of mulch it is. More organic mulches such as grass clippings and hay tend to have a shorter lifespan and need to be reapplied often. Heavier duty mulches such as bark mulches tend to have a longer lifespan. The perfect time to lay down mulch is right after placing the seeds into the dirt. This way the seeds are cared for by the mulch. Once the plants start to grow, less mulch is needed to insulate the plants. Later in the season when the plants are in full bloom, mulch is used to enhance the top layer that was laid down previously. Now that spring is here, it is important to assess your lawn care to ensure a good season. Taking a little time to consider the type of mulch you are using and how you are using it can help prolong the life of all of your outdoor plants. If you are in search of a mulch supplier, consider Greener Horizon for your Landscape Supply. We offer Brown Pine, Natural Hemlock, and Nature’s Black mulch, all made from virgin materials direct from Maine and Canadian mills. Contact us for pickup or delivery, and be sure to ask about our lawn care and design packages for both home and business owners!